Looking forward to the day of enterprise SDN and NFV for WAN service delivery. Area 1: Move toward Virtual Network Function, where individual devices are replaced by virtual network functions on as close to commodity x86 servers as possible. This is a very pragmatic change that is already underway, with major companies like AT&T and their Universal CPE. 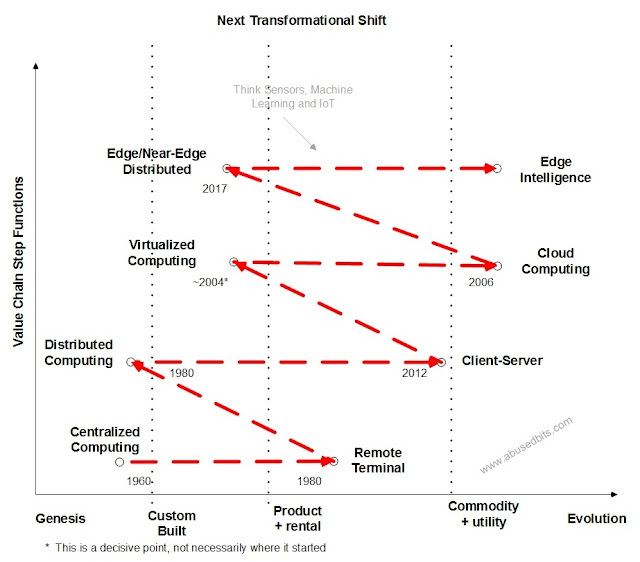 It will allow the edge to evolve in software timescales rather than hardware timescales. It also makes practical large scale deployment at fixed monthly costs. Area 2: Deliver Ethernet to the edge and run the Virtual Network Functions, along with Enhanced Cloud WAN Services from within the Carrier estate. Area 2 may have dependencies on local capability requirements, like application acceleration. 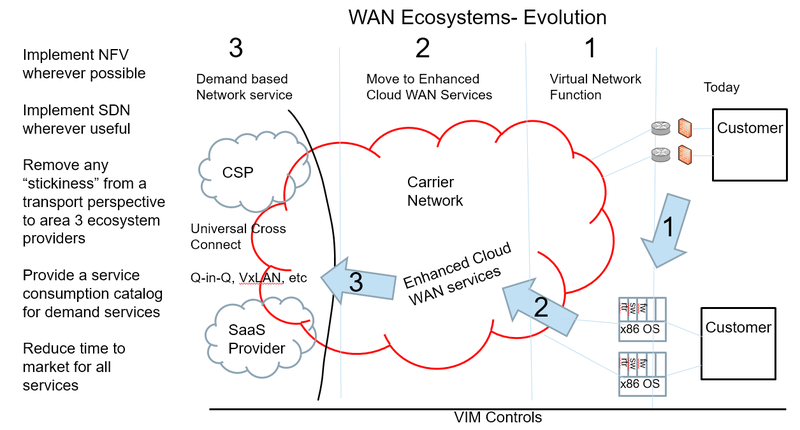 Consuming services from the Enhanced Cloud WAN area could provide rapid evolution, in software, of things like security perimeter enhancements as well as more options in routing traffic. Area 3: My personal favorite area. Deliver any connection to any service within the ecosystem, on demand. Programatically. The delay between want and ready reduced from weeks to minutes if you are already attached to the ecosystem. Make everything catalog based, so the order to fulfillment time for pre-existing customers is under their control. There are some maturing vendors in this space and hopefully adoption will pull standardization along with it.